LLCT and RLF work closely with local and regional partners to advance land conservation and stewardship values and activities. Collaboration is the cornerstone to successful conservation projects that meet a diverse set of both societal and environmental needs. The LLCT and Lincoln’s Conservation Commission work cooperatively to manage more than 2,000 acres of conservation land and 80 miles of trails. 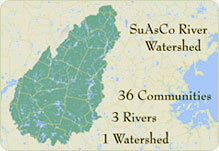 The Conservation Commission is a Town board appointed by Lincoln’s Board of Selectmen. The Commission oversees the staff of the Town of Lincoln’s Conservation Department “to ensure the long-term protection of the Town’s natural resources and to establish environmental policy in conjunction with the Selectmen.” As stewardship partners, LLCT and the Conservation Commission provide baseline inventories of conserved land, monitoring and conservation planning, land management, wetlands protection, and public education and outreach. As an example, each spring when the garlic mustard plant blooms, LLCT and the Conservation Commission join forces for an annual pull as part of a town-wide invasive species management control effort. The Bay Circuit Alliance is an organization that formed in 1990 to help complete the vision of an “outer Emerald Necklace” greenway in Boston’s MetroWest area that first arose in 1929. LLCT is a member organization of the Bay Circuit Alliance. Over time, more than 230 miles of recreational trails have been dedicated beginning at Plum Island in Newburyport and ending in the southern part of the Commonwealth in Kingston Bay. Lincoln has a main trail, plus a spur, connecting Concord, Lincoln, Sudbury, Wayland and Weston. The BCT pathway winds its way over several trails maintained by Lincoln’s conservation organizations, including Mt. Misery, and the Baker Bridge and Codman areas. Visit the BCT website to view a map of the trails. In January 2016, Birches School and LLCT/RLF signed a Memorandum of Understanding (MOU) between the two organizations. The joint purpose of the MOU is to educate the next generation of conservators of the environment; to create outdoor teaching and research facilities; and to utilize conservation land in Lincoln in ways that can be of life-changing benefit to the children of Lincoln and nearby communities, as well as the local ecosystem. As one of the first elementary school/land conservancy partnership in the nation, this MOU hopes to inspire similar collaborations for the betterment of the environment and our nation’s educational system. The specific goals of the MOU are to: establish a permanent home for Birches School adjacent to or near conservation land in Lincoln; develop and disseminate original, deeply researched outdoor classroom curricular materials that teach conservation principles using Birches’ inquiry-based approach; and provide enriched land stewardship through ongoing monitoring and tracking of the ecosystem. The Wang Project, ongoing through 2017, is one result of this collaboration. Birches School, the Town of Lincoln, and the LLCT/RLF purchased the former Wang Property at 100 Bedford Road to create a new home for the growing Birches School, a new athletic field for the Town, and to expand conservation land holdings in Lincoln. Birches School is an independent, co-educational, K-8 institution. Birches’ mission emphasizes nature-based, project-driven thematic units designed to cultivate academic and social development and to encourage students’ curiosity, creativity, self-reliance, and empathy. People for Pollinators is a collaboration of Lincoln-based organizations and individuals dedicated to the promotion, protection, and creation of habitat that supports the vitality of pollinators. On land protected and managed by the LLCT, a 2,000 square foot meadow was established in June 2016 with chemical-free, native and naturalized perennial seed and plant plugs. The meadow provides habitat and feeds local pollinators throughout the foraging season. People for Pollinators is a collaboration among the Lincoln Land Conservation Trust, Birches School, Lincoln Garden Club, Lincoln Conservation Commission, Lincoln Agricultural Commission, Stonegate Gardens and individuals in the Lincoln community. World-wide pollinator numbers are declining at alarming rates for many reasons, including serious habitat loss, global warming and significant pesticide use, especially of the neonicintinoids – a pervasive class of insecticides used in agriculture and found in garden products. Pollinators provide an essential ecosystem service with many of the world’s agricultural crops and medicines dependent on pollination by animals, mammals and insects. (Food and Agriculture Organization of the United Nations). Visitors to the meadow are encouraged to record observations at iNaturalist. Become a citizen scientist, and share your findings with the project and with scientific repositories like the Global Biodiversity Information Facility to help scientists find and use our data. All you have to do is observe! iNaturalist is simple to use and works on all devices. Go to: iNaturalist.org/projects/people-for-pollinators. People for Pollinators is generously supported by grants from Lincoln Land Conservation Trust, Birches School and a private donor. LLCT has an enduring relationship with Lincoln’s K-8 schools. From funding ecological and historical explorations at Flint’s Farm to funding bluebird box construction among the first and sixth graders, the Education Committee of the LLCT works with administration, teaching staff and the Lincoln Parent Teacher Organization (LPTO) to bring meaningful enrichment programs that connect students to Lincoln’s conservation land and natural environment. 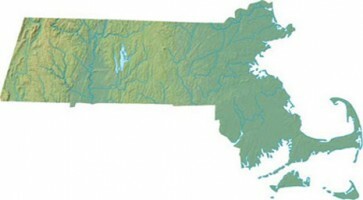 The mission of the MLTC is “to advance land protection in Massachusetts by providing education, tools, networking, and advocacy support for land trusts and their partners.” LLCT is a long-time member of the MLTC and Buzz Constable, President of the LLCT/RLF Board of Trustees, currently serves on the MLTC board. As an advocacy and service-based organization, MLTC plays a critical role in supporting key conservation legislation, and in providing important networking and training resources that LLCT benefits from accessing.